After his canine partner was stabbed in the line of duty, an officer attached to a K-9 unit of the Knoxville Police Department carried the dog into the emergency room at the University of Tennessee Veterinary Medical Center (UTVMC). The officer paced the waiting room while the Center’s team of emergency veterinarians worked to save the animal. Within minutes of the pair’s arrival, Sarina Manifold, LCSW, assistant professor of practice with veterinary social work (VSW) at the UTVMC, arrived at the waiting room to keep the officer company and offer support. But 20 minutes later, the veterinarians’ best efforts were unable to save the dog. After helping the officer cope with his grief, Manifold went to work supporting the ER staff. The incident sums up the way veterinary social workers help veterinarians and their clients every day, according to Maniford. “I’m a part of the (veterinary) team,” she said. 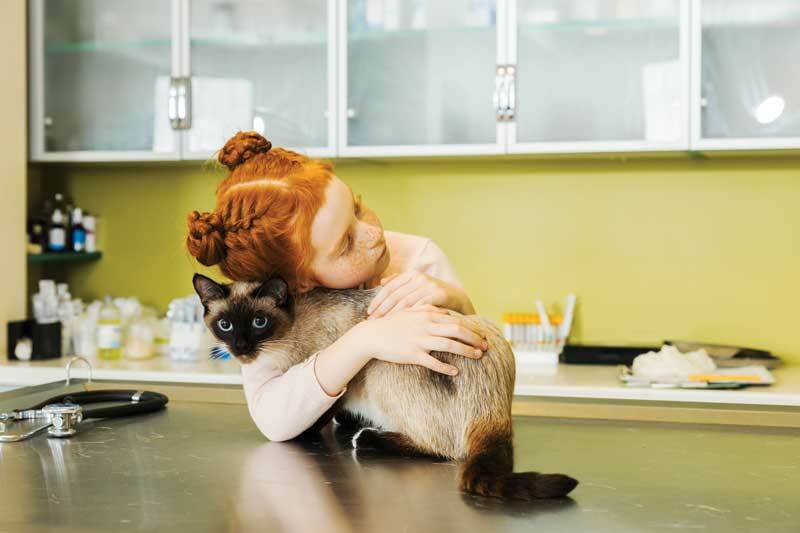 Since the 1980s, social workers have capitalized on their love for animals by working with veterinarians to help their clients grapple with the loss of a pet. The practice got a boost in 1997 when Jennifer Brandt, MSW, LISW, Ph.D., established the Honoring the Bond program to offer VSW services, including crisis intervention, decision-making end-of-pet life support to clients of The Ohio State University (OSU) Veterinary Medical Center. Five years later in 2002, Elizabeth Strand, UT professor, formalized the specialty by offering a certificate program at UT Knoxville. She was the first to call the combination veterinary social work. These days, the veterinarian social work program at UT Knoxville is a joint effort between the university’s colleges of social work and veterinary medicine, and concentrates on four components, including grief and bereavement, the link between human and animal violence, compassion fatigue, and animal-assisted interventions. Candidates wishing to practice VSW hold advanced degrees in social work and earn certificates in the specialty. When it comes to helping clients work their way through tough pet-related medical decisions, a VSW’s service is invaluable, according to Joelle Nielsen, coordinator of the Honoring the Bond program at OSU. Meanwhile, Jennifer Durn, MSW, LSW, meets every client of Hope Veterinary Specialists in Pennsylvania whether their animals need extended treatment or not. But it’s not just clients who benefit from VSW support. According to Nielsen veterinarians, nurses and students all seek help at one time or another. According to Durn, veterinarians, nurses, and students all become worn out at one time or another as they care for patients or deliver less than joyful news to clients. VSWs help them through their own rough patches. 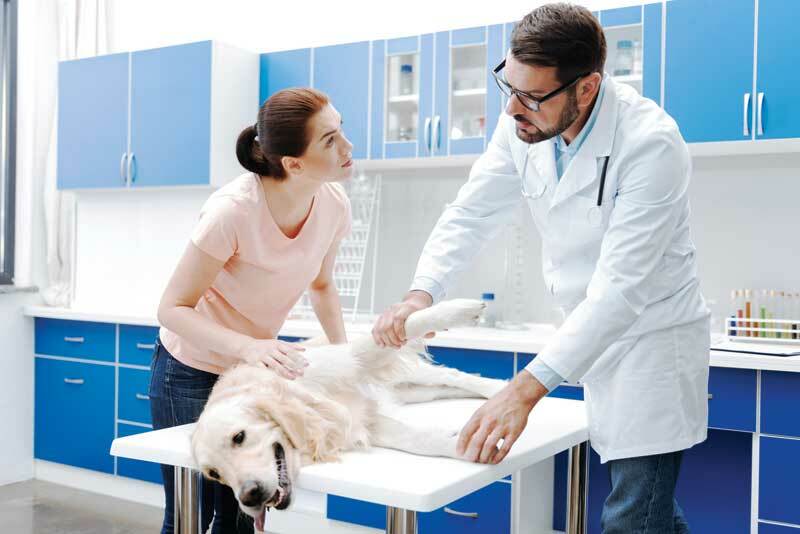 Veterinarians also make use of VSW assistance when they need to explain the details of patient procedures or treatment to clients who may have their own problems understanding medical terminology or who have their own mental health issues such as dementia. Even so, while the value of VSW services is becoming more recognized, adding these professionals to general practice staffs has been slow in catching on. “So far, VSW services have only been available at practices connected to veterinary schools, ERs or specialty oncology, cardiology, or ophthalmology clinics that treat small animals,” Nielsen said. That’s partly because adding a VSW to a practice staff can be costly. This summer, Terry Clekis, DVM, MS, of Braden River and North River small animal medicine and surgical facilities in Florida, is offering his clients VSW services while a daughter of a staffer pursues her masters degree in social work. It’s a free-of-charge situation for the practice. But placing a VSW on paid staff is another matter. Instead, Clekis is careful to staff his offices with individuals who care about clients and their animals. “If you have empathy and staff with the right people you can do the same thing,” Clekis said. She also agreed that adding VSW to the staff of a general veterinary practice can be costly. But when VSWs do join a practice, Durn thinks it’s up them to prove that they can enhance the practice and meaningfully contribute to its bottom line. For now, practices offering VSW services are few and far between and limited to clinics that care for small animals. In the meantime, some veterinarians who have worked with them think VSWs make invaluable contributions to their practices.